« Can the Rally be Trusted? I was interviewed for an article in this month’s issue of the Wall Street Journal’s SmartMoney Magazine. 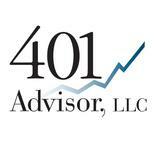 The article is titled,”The Big Delay in Your 401(k)” The article discusses how investors are discovering that their options for reacting to market swings are limited and goes on to discuss how to avoid feeling “trapped” by your 401(k) plan.